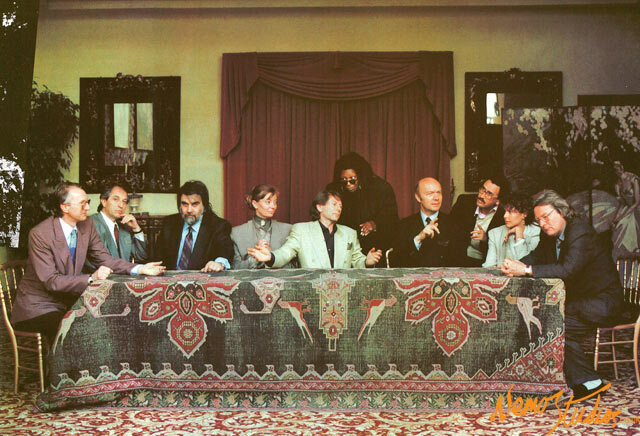 The judges of the Cannes Film Festival, from left to right: German journalist Hans Dieter Seidel, Italian cinematographer Vittorio Storaro, Greek composer Vangelis, French producer Margaret Menegoz, Film director and jury president Roman Polanski, American actress Whoopie Goldberg, French director Jean-Paul Rappeneau, Tunisian journalist-director Ferid Boughedir, Russian actress Natalya Negoda, and British director Alan Parker. In May 1991, Vangelis was one of the official jurors at the Cannes Film Festival. 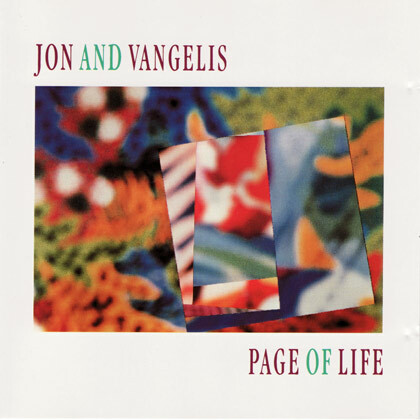 A few months afterwards, in September, Jon and Vangelis released their fourth collaborative effort, called ‘Page of Life’. This was a new collection of songs which re-established the duo. The single ‘Wisdom Chain’ was backed with the rare composition ‘Sing With Your Eyes’. In the summer of that same year, he hosted a concert staged at the ancient Odeon of Herodes Atticus amphitheatre. A tribute to the arts, poetry and literature, the concert featured guest performers Alan Bates, Fanny Ardant and soprano Markella Hatziano. It was also in 1991 that he composed music for the film documentaries by the world-famous mariner Jacques Cousteau. Cousteau had also specially prepared a film with Vangelis' music for the Earth Summit, which was to be held in Rio de Janeiro in 1992. This was attended by 172 nations and 108 heads of state. The film alerted the attending dignitaries to the ecological devastation affecting our planet. The documentary pointed out the alarming rate of climate change and, more importantly, the distressing poverty that prevailed around the world. In 1992, Vangelis composed music for theatre director Nuria Espert’s staging of Medea, featuring actress Irene Papas. Vangelis also composed soundtracks for a number of motion pictures that year. These included Roman Polanski’s dark love story Bitter Moon, starring Kristin Scott Thomas and Hugh Grant, and La Peste. The latter was an adaptation of celebrated novelist Albert Camus’ book, and it starred William Hurt and Robert Duvall. 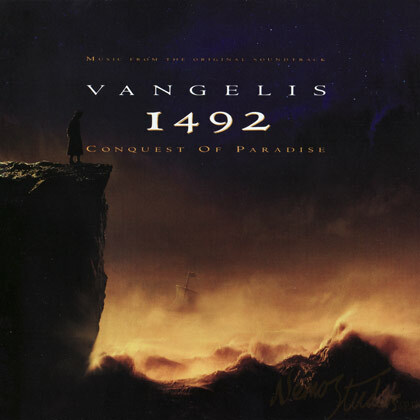 Also in 1992, exactly a decade after Vangelis wrote the score for Blade Runner, director Ridley Scott asked him to write for his next epic, 1492: Conquest of Paradise. The subject was about one of the most celebrated figures in history – Christopher Columbus. The movie coincided with the 500th anniversary of Columbus’ first voyage to the New World. Vangelis created atmospheric music which added to the overall ambience of the film. The soundtrack portrayed a sense of nobility, the failed hopes and aspirations of the crew and a voyage to new discoveries. 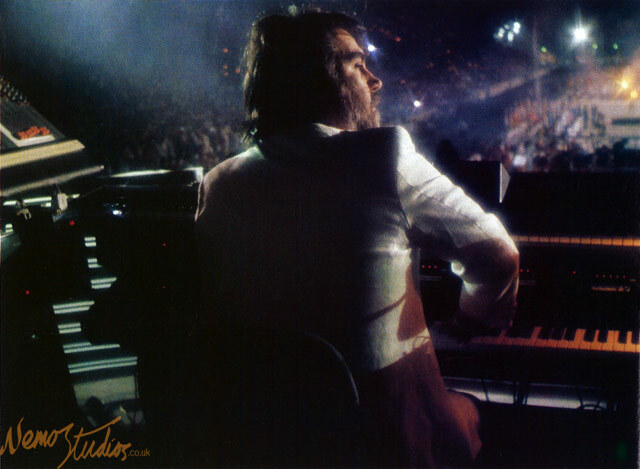 Vangelis composing lush symphonic music during a grand public event, without assistance of tapes or pre-prorgamming, all of the music is created and performed live. For Vangelis, that's the only way he could retain the honesty of his musical explorations, by not preparing anything in advance. Throughout his prolific composing career, Vangelis received several honorary awards and titles, but one award worth highlighting is the Chevalier de Ordre des Arts et des Lettres. This was given to Vangelis by the French Republic, in 1992, for his significant contributions to the arts.